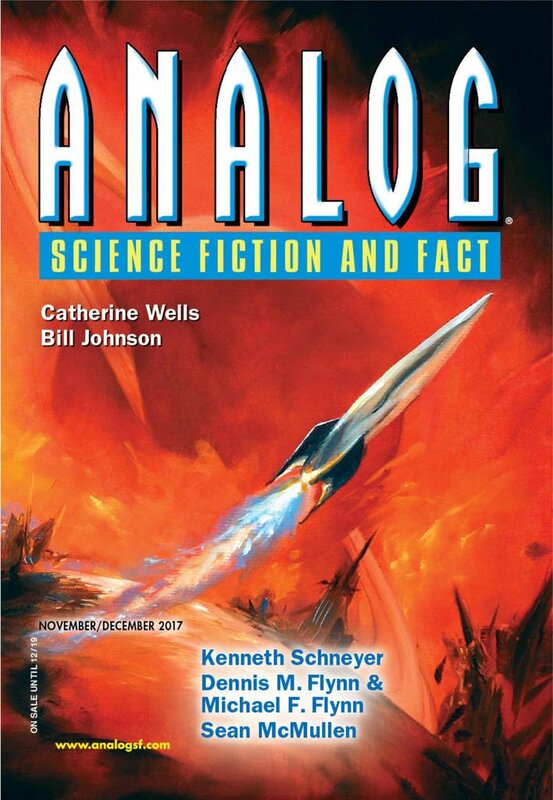 "Laminated Moose Zombies and Other Road Maintenance Problems," by Dennis M. Flynn and Michael F. Flynn [bio] (edited by Trevor Quachri), appeared in Analog Science Fiction and Fact issue 11-12|17, published on October 19, 2017 by Penny Publications. Pro: It’s a very clever way to make a hard-sf zombie story. Con: It’s essentially a joke about bureaucrats, and it’s obvious from the moment he gets the first form to fill out. Bobby should know better than to try to file a zombie report on his coworker. He’d at least talk to his girlfriend first.